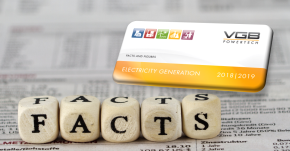 An update of Electricity Generation - Facts and Figures 2018/2019 is published. Since 2003, this VGB publication informs about facts and trends in electricity generation. The edition 2018/2019 is available for download in English and German language now. 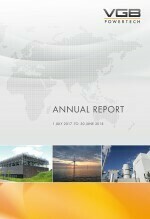 In this Annual Report, VGB PowerTech presents the results of its activities in the reporting period 2017/2018. 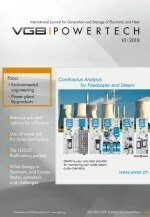 VGB PowerTech bundles issues and tasks related to electricity and heat generation and storage that are of joint interest for the power industry, i.e. operators, manufacturers, service companies as well as research and development institutes. VGB PowerTech also coordinates relevant activities of member companies with governmental institutions and additional partners in international cooperation worldwide. This event is focussing on solutions and innovative concepts for gas turbine plants, their subsystems and components. Relevant aspects to meet current and future challenges shall be addressed, such as availability, reliability, utilization of primary energy, load and fuel flexibility, lifetime costs and environmental protection. We are looking forward to receiving your suggestions by 30 November 2018. Aim of the workshop is to provide results of advanced materials and quality assurance aspects. The workshop is aimed at manufacturers, planners, operators, insurers and experts interested in technology and its environment, researcher, authorities and associations. Become a part of the VGB Workshop Materials and Quality Assurance and submit a proposal for a paper online by 23 November 2018. Innovations are a constant feature of our industry, in our day-to-day business and in activities involving a long-term planning horizon alike. They are an important means of reacting to challenges and processes of change. Our goal is to find, develop and implement technically clever and efficient solutions, because life without the secured generation and storage of power and heat is unimaginable. 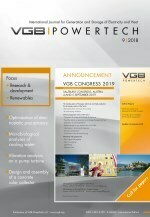 Use your speech to present innovative concepts, developments and solutions at the VGB Congress 2019, the knowledge-sharing platform for the technical aspects of the future energy supply. We are looking forward to receiving your suggestions by 14 December 2018.